I think I have looked at more wedding shoes on Pinterest and online than I have actual wedding dresses. I do LOVE shoes but for some reason I am over excited about the ones I choose for my wedding. 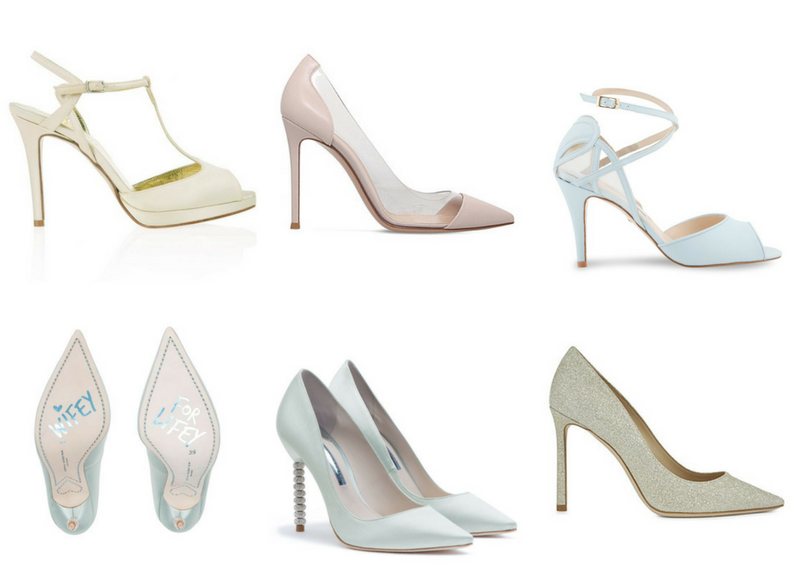 I decided to share with you a few pairs of designer bridal shoes that I love the most (currently). I am thinking that I would like a long dress so I suppose you wouldn't actually be able to see my shoes so I don't particularly need anything that fancy however, I will only get to choose these once so I think I need something special. I would also like a pair that I can re-wear. You spend a lot of money on weddings so something that can be re-used, should be. Who are your favourite shoe designers? Any recommendations?